for all boat owners who are your motor or sailing yacht in Croatia, or intend to buy a used yacht or in a timely manner, will benefit from a law that on the 30th, the Croatian Parliament Decided November. This means in plain language that all yachts, the 31 to May be retroactively taxed at 5% in 2013, from the accession of Croatia on 01 July are considered EU taxable. That’s from all previously known variants certainly advantageous and should be taken as soon as possible in the implementation undertaken. According to our information, the administrative procedure will take about two months to complete and when you consider that about 10000 yachts are affected in Croatia, it can take even longer. We strive for the moment, to assist you in implementing the recapture and come back shortly with proposals. This letter attached you will find a letter from the Austrian Foreign Trade Center in Zagreb. This letter indicates that this status applies only to vessels that are registered in Croatia. So not for New Boats, will be introduced only. This would have to be taxed at 25% for imports from Croatia. The EU guidelines state that vessels over 7.5 meters in the country must be taxed. We must point out that all this information is communicated from our side without prejudice! Once we have new information is received, we will inform you. We will take care of us so kümmernen entire process of taxation and customs clearance for your boat. As the official service point of ADAC we repair every kind of sea damage on your motor yacht. All repairs will be done by our experienced and well trained mechanics / mechatronics. Zahvaljujuci nasem dugogodisnjem iskustvu s motorima smo u stanju Vam pomoci u raznim preuredjenima oko Vaseg motora. Thanks to our experiences with motor-yachts we are able to help you with any kind of changes on your yacht. You have high expectations on comfort, speed and quality on your yacht – this needs of course intelligent, technical solutions which we will realize for you. To control your yacht as well in difficult situations, you wish hidden high-tech as GPS, hydraulic and more useful tools. – We will realize all this for you. … ask Adria-Nautic-Services for a competent support. Many things are involved in taking care of your yacht. Things as for example the proffessional handling of engine, electric and electronic – but mainly the cleaning of your yacht. Why do we put lots of value in cleaning, polishing and conservation of the yacht? Very simple – to keep the value of your yacht. Therefore we offer you a nano-treatment . Adria Nautic Service Sukošan d.o.o. 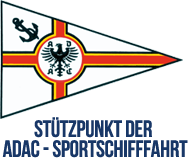 Adria Nautic Service Centrala d.o.o.